Notification: the demise of DEN FUJITA. 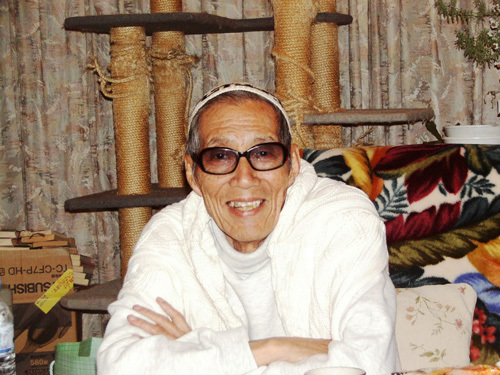 Den Fujita, a scenario writer, and the president of Theater Company 1980, had passed away peacefully on Sunday, March 16th 2014, at the age of 81.
we had funeralized him on March 20th, with close relatives. (i)Date: 17:00-20:00 Friday, May 2nd. ● Although the Dress code is not strictly set, CASUAL BUSINESS clothes are desirable. ● For floral tribute, please let the 1980 know before the party.